Will Your Assets Be Protected after Your Death? | Fournier Law Firm, Ltd.
Will Your Assets Be Protected after Your Death? People do not like to think about death; but planning for death is an important part of life. When you pass away, will your assets end up in the wrong hands? Will death taxes eat up the property your family needs to maintain a comfortable lifestyle? An experienced estate planning attorney can help you minimize the tax consequences associated with death while assuring that your property is distributed according to your wishes. Managing financial affairs effectively requires a team approach. Together with your accountant, financial planner, life insurance advisor, banker, stock broker, and anyone else you may rely on to help protect and control your assets, an estate planning attorney is a vital member of your financial team. Make Fournier Law Firm, Ltd. a trusted addition to your team. To inquire about our estate planning services or to make an appointment with an estate planning attorney, complete our online contact form or call us directly at 630-792-1000. How can I minimize the tax consequences of property transfers after my death? If my spouse and I both die, who will raise our children? Should I create a trust to protect the assets I leave to my children or other family members? Who will make decisions about my finances if I am in a coma or otherwise incapacitated? Do I want to be kept alive by artificial means if I will never recover consciousness? Who should I name as beneficiaries of my life insurance policies and retirement plans? Get answers to your estate planning questions by calling Fournier Law Firm, Ltd. at 630-792-1000. You can also ask for an appointment or submit a question about our services online by filling out the form on our contact page. 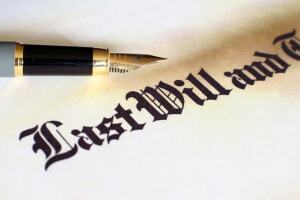 Fournier Law Firm, Ltd. is pleased to assist you with all of your estate planning needs, from drafting simple Wills to preparing complex trust documents. We serve our clients’ estate planning needs with sophisticated estate and tax planning services. With more than 35 years practicing trusts and estates law, Fournier Law Firm makes use of our knowledge and experience to protect our clients’ wealth while assuring that all end-of-life issues are resolved according to their wishes. Our goal is to meet all of your estate planning needs so you can be confident during your life that you have provided for your family after your death. To make an appointment with an estate planning attorney at our convenient Oak Brook office, call Fournier Law Firm, Ltd. at 630-792-1000. If you prefer, you can submit our online contact form and someone on our staff will contact you.